How Fast is Ruby 2.5? A new benchmark on the heels of an important performance patch applied after Ruby 2.5.0preview1 shows a nice gain over previous benchmarks. MJIT (which stands for MRI or Method JIT) may form a key part of Ruby 3’s goal to be 3x faster than Ruby 2. An initial version of MJIT has been merged into a fork of the Ruby trunk, leading this author to start running some promising benchmarks. We'll tell you when bad things happen and protect your code from intrusions, insider threat and data loss. Get started with a simple 'gem install sqreen'. 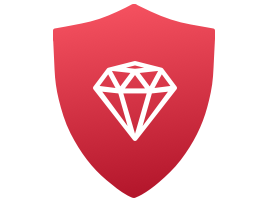 Thanks to funding from Ruby Together, a formerly popular site for finding and categorizing Ruby libraries and tools is back. How does Ruby store objects in memory, work out where it stored those objects, and how can you look at what’s going on under the covers? A GitHub thread on getting started playing with TruffleRuby, an alternative high performance Ruby implementation. Use GoCD's enterprise features performance upgrades to manage large number of teams, agents and pipelines for your organization. We already have Math.sqrt but this new version is more accurate. Psst.. we have a weekly Go newsletter too. Drip-feeding more knowledge about new Ruby 2.5 features. Cookpad pays one of the longest standing Ruby core committers to keep working full-time on MRI. An academic paper analyzing the addition of refinement types to Ruby.